Sony's cloud-music service Music Unlimited has been confirmed for the NGP (or PSP2 if you prefer) along with the current PSP range. The pay service has been running on PS3 since late last year in the UK and has now finally moved onto the portable gaming offerings of the PlayStation brand. 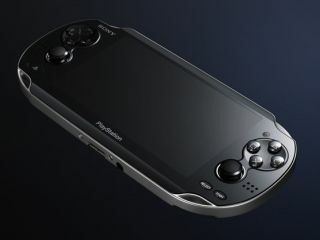 "The service is now set to spring to life on your PSP "in a matter of weeks", Sony has confirmed. "The heart of the offering here is that with the one account you can access this music on your TV, your PS3, your laptop, your Blu-ray player, and have your music follow you wherever you go, rather than having to download all of your music into a device and make that device go with you everywhere," Sony Network Entertainment boss Shawn Layden told Eurogamer. Music streaming service have proven to be a real hit in Europe, with Spotify perhaps the best known of the services on offer. However, with Apple widely believed to be readying its own cloud service based on the ubiquitous iTunes and retail giant Amazon plunging into the world of music sales, signing up for a long-term contract at the moment is perhaps fraught with danger.